Black Caviar’s son Prince Of Caviar has broken his maiden at his fourth start at Bendigo. Black Caviar’s son Prince Of Caviar has broken through for his first win at his fourth start and connections are convinced the best is ahead of the blue blood colt. Prince Of Caviar ran home strongly for fourth on debut as a two-year-old at Sandown in May and had finished a close second in his two starts this preparation at Sandown and Bendigo. He stepped out again in a 1300m-maiden at Bendigo on Thursday and got the job done by 1-1/4-lengths with Luke Nolen, the man who steered Black Caviar to 22 of her 25 wins, aboard. Prince Of Caviar, who is by Sebring, is the second foal of the undefeated mare Black Caviar to race. Her first foal, an Exceed And Excel filly named Oscietra, was retired earlier this year after winning two of her five starts with Nolen riding her to one victory at Ballarat. Prince Of Caviar’s co-trainer Wayne Hawkes is adamant the colt will be better again next autumn, an opinion shared by Nolen. “It was a tradesman-like performance today,” Nolen told broadcaster Racing.com. “He’s going in the right direction and I think he’ll be a nice horse come the autumn. “It’s all in front of him. This is a bonus at this stage. 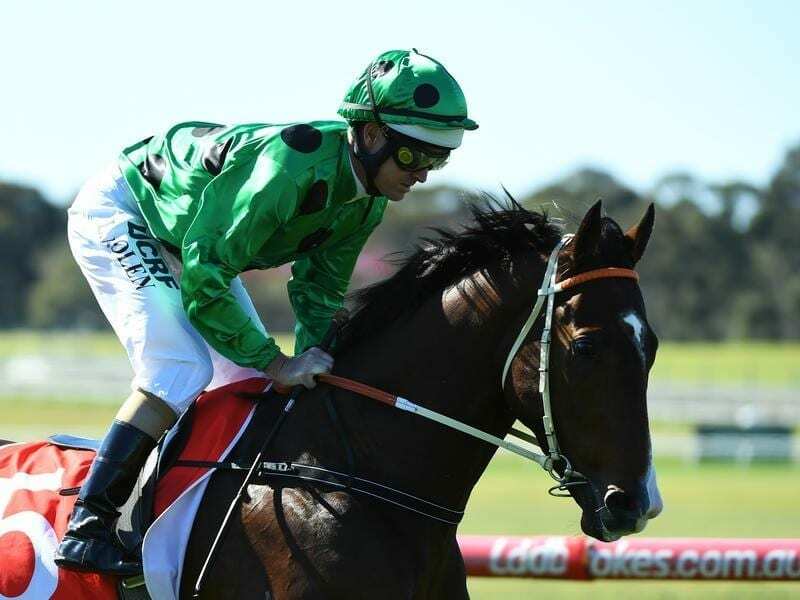 “He seems like a horse that will probably appreciate a mile (1600m) in time. Hawkes said while Prince Of Caviar had only contested maidens in his three starts this preparation, he believed the form around the colt would prove to be strong.